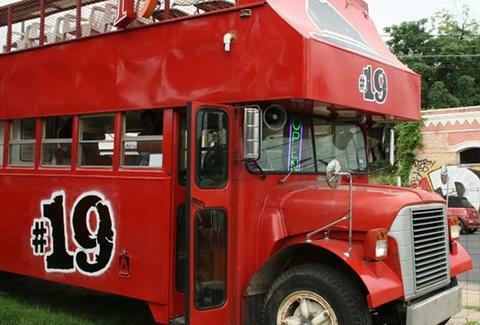 Opened yesterday by a restauranteur disillusioned with city building permits, #19's a blazing red double-decker bus (the only one ever manufactured in America!) that's starting out with just one item: a monstrous cheese-steak topped with sauteed green peppers, onions, mushrooms, and white American cheese. The bus' name actually comes from the Clash song "Rudie Can't Fail" -- which was true, right up until she got rid of those pigtails.